You can find We Buy Homes In Tucson on Cash Home Buyer Directory. If you are looking to sell a house in Tucson we would love to help. We will give you a fair cash offer for your Tucson home. We assume the responsibility for all the repairs, will close on your desired date and pay all of you closing costs. 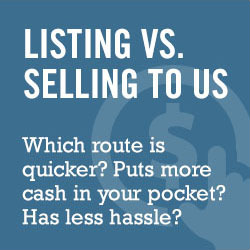 We Buy Tucson Houses Fast & Always Make Fair Offers. Check Out Our Easy Process. If you answered “yes” to one or more of these questions, call us on 520-433-9298. We can help! We are specialists in solving real estate problems… especially ones that pose a financial burden on you, the homeowner. We want to help you understand all of the options available to you, to help you take control of your situation and get back to living the life you want to live. Sell Your House Fast Without A Realtor! Working with a realtor is not for everyone. Even if an agent has tried and failed to sell your house, we can help. You won’t pay any agent fees or commissions– AND we pay for all standard title and closing costs, so you get more cash!